PERFECT BACHELORETTE PARTY GIFTS: If you're looking for a fun and cheeky gift for an upcoming wedding, then look no further! These fun wine glasses bring a smile to the face of any friend or guest and are a sure hit at parties and weddings! 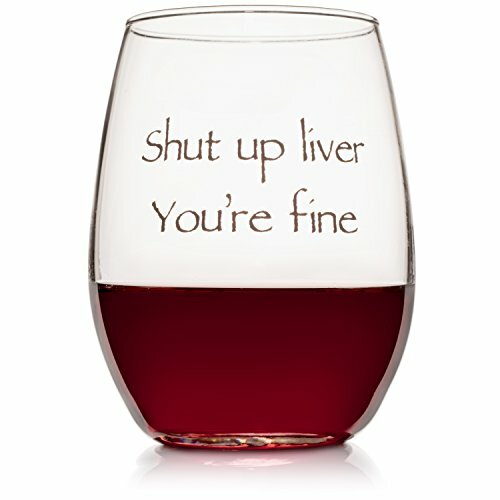 GREAT FOR ANY WINE LOVER: Whether you're looking for something funny for mom (like mommy medicine wine glasses for example), these are a sure-fire hit. What better way to drink your wine and have some fun than with these wine glasses funny sayings?! If you have any questions about this product by WineLolz, contact us by completing and submitting the form below. If you are looking for a specif part number, please include it with your message.